We at CarOne know how to value our people. We believe that we are able to reach our goals through cooperation. We recognize each person’s contribution and treat each other with respect. We conduct business in an honest and straightforward manner. It is important that customers, as well as members of our team, view the company as honourable and trustworthy. This philosophy shapes many of our day-to-day business practices such as our Haggle-Free, Accident-Free Guarantee, No Commission, and Hassle-Free policies. It is our intention to keep our customers satisfied and we continuously work at improving our service for their greater pleasure. Our showroom is designed with comfort in mind. Walk into our dealership and relax in a leather massage chair (we have two), watch television, or hop on our free Wi-Fi. CarOne has a tradition of success that drives its leaders. We keep our eyes on the prize and relentlessly pursue excellence. This is our motto in everything we do. 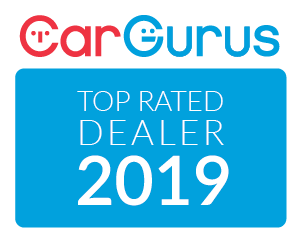 It’s a lot of work, but our goal is to be the best Kingston used car dealership and automotive repair centre every day. It is our pleasure to have our customers depend on us to deliver on our promise of great service, hence we consistently persevere to provide high quality and efficient business results to maintain our customers’ trust in us. Car shopping should be enjoyable, you know what you’re looking for and our job to help you find the perfect vehicle for you. We do not believe in resting on our laurels. There is always room for improvement and we always seek it. We remain proactive in finding ways to grow and develop in order to serve our customers better. We’re constantly seeking the feedback of our customers and we regularly make policy changes based on this information. Ready to get a new ride? Not only does CarOne sell hundreds of cars from our convenient Gardiners Road, Kingston dealership, we’re also a full automotive repair and maintenance service centre. We also want to buy your current car and we’ll pay top dollar for it. Take a look through our used car inventory or appraise your car. BOOM! Our parts and service department’s certified technicians have you and your car covered! We are a fully licensed Ontario Drive Clean Facility. Book a service appointment online, or by calling 613.542.2223. CarOne offers a full line-up of Terra Clean products and services and many more exciting offers. BOOM! 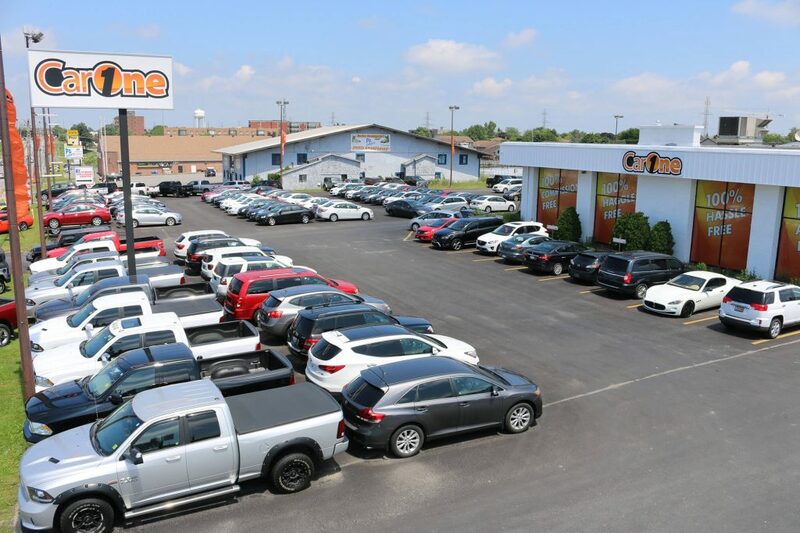 Whether you’re looking for a new-to-you vehicle for the family road trip, looking for something for the morning drive to the office, or you are looking for your very first car, we at CarOne are here to help. We work with some of Canada’s top lenders to get you Kingston’s best automotive finance options. BOOM! All of our Experience Managers are paid the same, regardless of how many vehicles they sell. They are actually paid bonuses based on providing excellent customer service. We think this is the way car shopping should be. Our goal is to ensure you find the used car you want quick, easy, with no pressure. Find the car you’re looking for without the stress of haggling over price. We use the latest Internet technologies to ensure our cars are priced at a very competitive price. Save the Haggling for the other dealerships! Financing a vehicle through CarOne is simple, fast, and secure. We require a minimal amount of information to process your credit application and work hard to get you approved within 48 hours. Get started by completing our online car loan application. This is something new to the Kingston region. We love buying cars and we do our homework on every car we purchase and eventually sell on our lot. All of our CarOne Pre-Owned Certified Vehicles come with an Accident-Free Guarantee. This allows you the ability to drive away in your ‘new to you’ vehicle with the peace of mind knowing that your car was treated with care before you owned it. We think car shopping should be fun. Walk into our Kingston used car dealership and relax in a leather massage chair (we have two), use one of the iPads in our showroom, watch television, or hop on our free Wi-Fi. We even have self-serving kiosks in our dealership that allow you to view our entire inventory from the comfort of our showroom. We pride ourselves on putting our customer’s needs first. 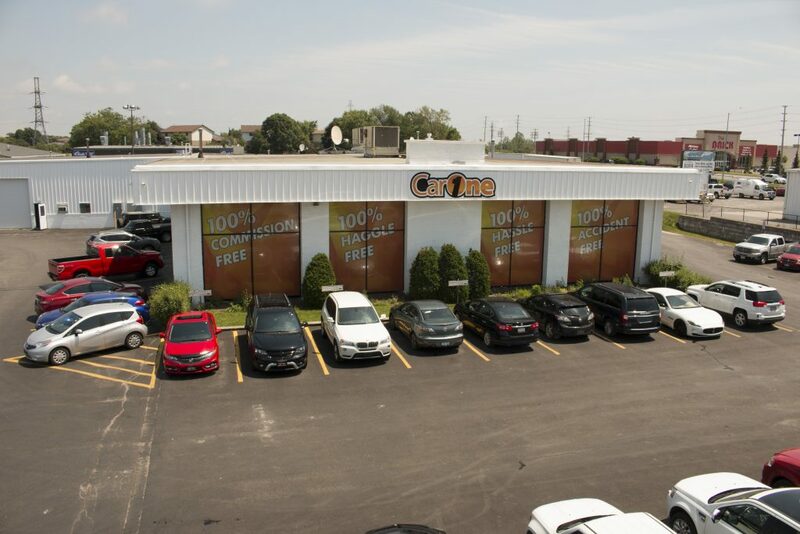 At CarOne Service we make automotive service convenient by offering free service loaners to our customers. No need to get a ride from a friend, take a cab or a bus, we have you covered. How cool is that? Interested in a car, but not sure where to find its full history. No problem. 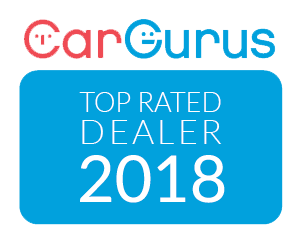 We’ve partnered with CarProof, Canada’s top supplier of vehicle history reports to offer FREE online vehicle report on every car we sell. It’s simple, view the car you’re interested in, click once, and BOOM an instant and free CarProof report on your screen.